Proper supplements is essential to a healthy milk cow diet. Below are explanations about some of the free choice or measured supplements fed to cows and explanations for their uses. Note: Mineral needs vary by area, due to natural deficiencies or excesses in soil. Please study your location, test your soil, ask about how your hay fields are fertilized, read labels on your grain, mineral mix, etc. when choosing what to offer your cow. We offer free choice minerals to all ages of heifers & cows. Dry cows often consume the most! Dairy minerals are kept in the barn area near the hay feeder and water trough, under cover to prevent the minerals from getting wet and hardening up. The same container also has loose salt – we put minerals on one side and salt on the other and kind of swirl them together so the cows can pick and choose. 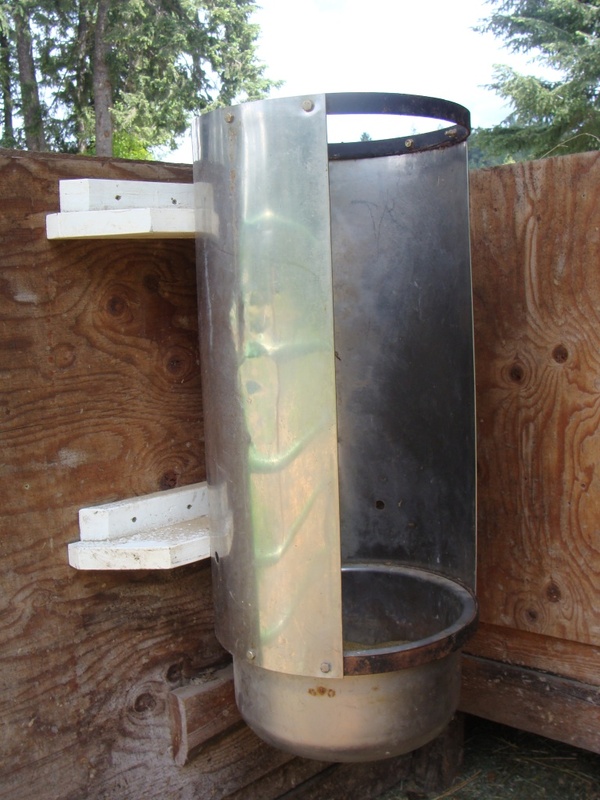 We also keep a small pan out by the water trough in the pasture area in summer months. Lancaster Ag in Pennsylvania offers milk cow, dry cow, and heifer minerals – all natural. Crystal Creek is another popular option. The more natural the ingredients, the more absorbable & easier on the cow’s system. Purina carries dairy minerals, hi-phos or regular dairy are two available in our region. Other brands carry similar commercially prepared mineral mixes. >>> Some mineral mixes are mixed/diluted with salt, some are straight minerals. Straight mineral should be a lot more expensive ($50-70+ per 50#) and ones with high salt content should be fairly cheap in comparison ($25+ per 50#). We offer Redmond Loose Selenium (SE-30 or SE-90) salt free-choice to help protect against the selenium deficiency on our land. As mentioned above, kept in the barn under cover for cows to access as they want. Each calf gets a small salt block to lick on, sometimes they like a little salt. Loose salt is more desirable than block salt. Both are ok to have, but loose is important to make sure cows get enough salt in their diet. Salt is essential, but so are minerals – be sure to offer both for milk cows due to the amount that daily goes into milk production. Not necessary to feed daily, but a great addition to supplements whenever the immune system is compromised – around calving time, in fluctuating weather conditions, or when sick. Fastrack is commonly available and recommended over Probios (which is a weaker version). Fastrack is a powder form, Probios comes in powder or paste form. Directions for use are on packaging. In a pinch, you can substitute human probiotics or yogurt (like, for a sick calf). Yeast we add daily to feed, especially in the first few months of lactation. We add one scoop (packaging on what you buy should contain dosage, or look up company online) to the grain mix we feed cows before/after milking time. Yeast improves rumen function (which is why yeast is more valuable to ruminants such as cattle, whereas humans need more bacteria/probiotics). Some well-stocked farm stores carry 50# bags of yeast (a form of dried brewers yeast). The brand available to us is Emmert, but there are others (Diamond V, for example). A supplement for winter months when feeding hay &/or for fresh cows. We don’t have personal experience feeding kelp, but have heard from many that their cows love it. We have fed it to our chickens in the Fertrell Chicken Mineral mix (we’re able to purchase through Azure Standard). Can add to water troughs or feed. We add a splash to the grain mix we feed our cows. There are many claims, but if nothing else, the cultures of the vinegar, in moderation, are beneficial & ACV helps moderate pH. Click here to learn how to make ACV. Can be used to guard against acidosis. Some leave it out free choice. In the summer of 2018, I gave baking soda to our cattle for the first time. We had a heavy-bred heifer that was bloating recurrently and friends recommended offering her some free-choice baking soda. We put a tub in the pasture, next to the water trough. She guzzled up the baking soda for a couple weeks! (We also treated her with CMPK boluses and gave her a magnet). After those treatments, she no longer bloated! Progressive Dairyman article: Is free-choice bicarb a thing of the past? 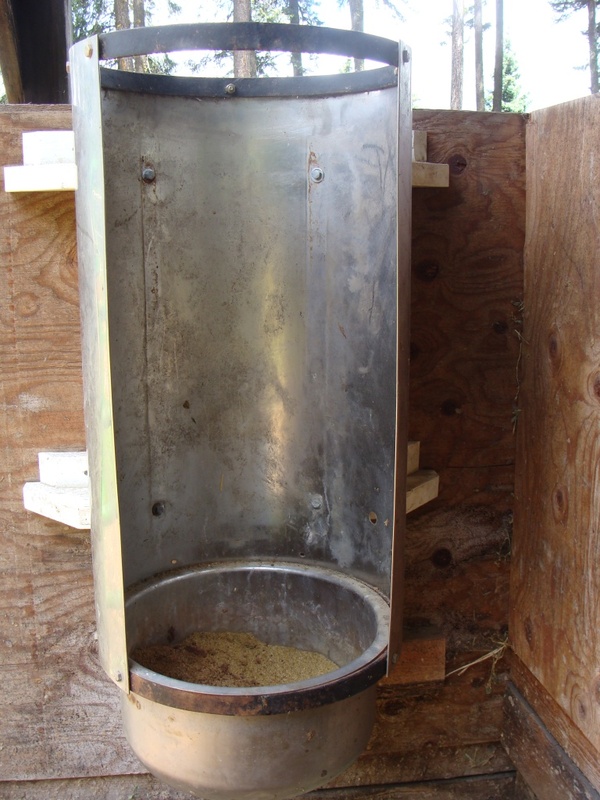 We feed mineral out of a converted parlor grain feeder; straight mineral on one side, selenium salt on the other, and swirl the two together in the middle; placed near their water supply for easy access is ideal. Have you heard of any mineral mix that will reduce the chances of milk fever and ketosis? Our girl seems prone to both. She easily gets slight ketosis when she’s on clover rich pasture. I know some places offer different mineral mixes for different stages of a cow’s life, for example – Lancaster Ag in Pennsylvania has heifer, dry cow, and lactating cow minerals. Our local feed store only carries a generic “dairy” mineral, but they sometimes offer a “high phos” lactating cow mineral. Finding what you can that fits closest to your cow’s needs is helpful. The free choice mixes may help as well, if the cow is able to go eat just what she needs of a particular kind. Make sure to keep loose salt out all year – we keep a little tub in the pasture next to the water trough. Sometimes the cows really want extra salt! Do you feed some dry hay before putting your cow out to clover pasture? Also, what is her body condition? Sounds like she’s borderline on how easily she gets ketosis which makes me wonder if she’s thin?